SURREY, ENGLAND (ANS) – A Christian human rights organization is deeply troubled by an acid attack on an elderly Catholic priest in Zanzibar on Sept. 13. Zanzibar is a semi-autonomous part of Tanzania, in East Africa. Christian Solidarity Worldwide (CSW) said in a news release that the incident, the latest in a series of assaults on churches and church leaders in the semi-autonomous archipelago, highlights a worrying deterioration in freedom of religion or belief in Tanzania. Father Anselm Mwang’amba was attacked as he left an Internet cafe in the historic Stone Town area of the Zanzibar capital, and is currently hospitalized with severe burns to the face, neck and hands. CSW said according to a local report, while inside the cafe Father Mwang’amba received a call from an unknown number and was doused with acid as he exited to answer his telephone. The assault on Father Mwang’amba is the fourth major attack on a Christian leader in Zanzibar since December 2012, when a Catholic priest was wounded by unknown gunmen. Local Christians report receiving threats via text message or in leaflets naming church leaders who have been targeted for assassination, and in some instances referring to a prospective date. In February, the murder of a Protestant pastor was followed a week later by the killing of a Catholic priest. In addition, CSW reported, at least 20 churches have been looted and either burnt or demolished, allegedly by supporters of the separatist religious movement Uamsho (Awakening). Perpetrators of religious violence are never brought to trial even when identified or caught in the act, and police investigations are generally extended indefinitely. CSW has also received reports of increasing discrimination on the Tanzanian mainland and an inadequate official response to religion-related violence. The family of a Pentecostal pastor beheaded in March in violence that erupted in Geita after the Muslim community objected to the opening of a Christian-owned butchery are still awaiting justice. Christians complain of the inequitable application of public order regulations designed to maintain religious harmony, including discrimination in the granting of permits for open-air meetings and new media outlets. Twenty-four hours after a massive twister hit Moore, Okla., rescue crews have nearly concluded their search for survivors and victims. 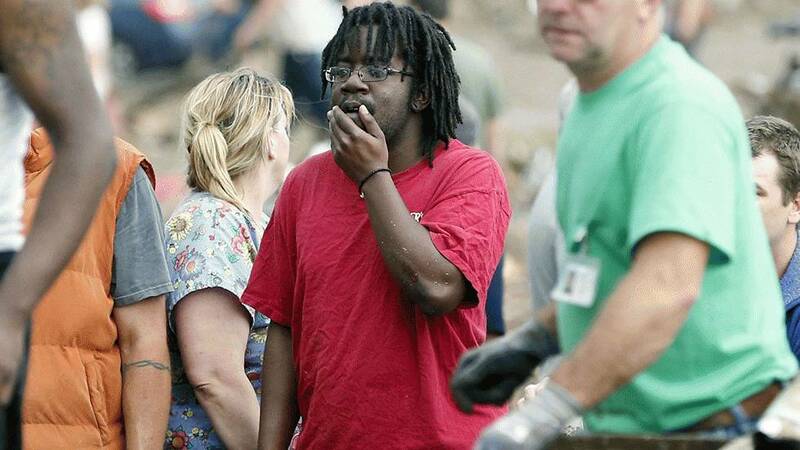 The Associated Press reported Tuesday at least 24 people were killed when the tornado ripped through the suburban city, which sits just south of Oklahoma City. At least 9 of the dead are children, seven of which attended Plaza Towers Elementary School. Amy Elliot, coroner with the Oklahoma medical examiner’s office in Oklahoma City, told The Associated Press at least 40 more bodies are expected. She didn’t elaborate as to how many of the deceased were children from Plaza Towers. The 2-mile wide tornado, which hit Moore the afternoon of May 20, packed winds of up to 200 miles per hour and churned as it sat on the ground for an estimated 40 minutes. Homes in the path of the twister were leveled, and vehicles sat on top of one another. This is the second tornado to touch the ground in Oklahoma in many days. On May 19, a tornado hit east of Moore killing two people. “(I’ve) never) seen anything like it. 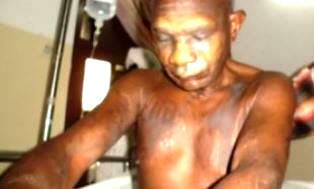 It looked like a bomb went off,” Joel Reynalds said. 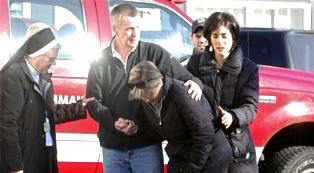 Efforts to help victims of the tornado poured out immediately. According to Jeremy Raynalds, chaplains with the Billy Graham Rapid Response Team have been deployed to Moore to offer support. “Our hearts are breaking for all of those in the path of this horrific tornado. Words can’t do justice to the pain that is being experienced in and around Moore,” said Jack Munday, international director of the Billy Graham Rapid Response Team. The Billy Graham Rapid Response Team is deploying in coordination with Samaritan’s Purse, headed by Franklin Graham, who is also president and CEO of the Billy Graham Evangelistic Association. Together the two ministries will seek to meet the physical, emotional and spiritual needs of those impacted by the storm. The threat for severe weather continues Tuesday as severe thunderstorms containing hail, damaging wind gusts, and tornadoes. According to the Weather Channel, areas that should prepare for the severe weather include Dallas, Shreveport, La., St. Louis, Chicago, and Columbus, Ohio. SCOTT DEPOT, W.V. (ANS) — To juggle means to keep things “continuously in the air.” I tried it with green apples, tennis balls and once with three croquet balls. I was doing well until two of those wooden balls collided and went separate ways enough to allow the third ball to hit me between the eyes. After that headache, I lost my desire to be a juggler. We all may have been warned, “Don’t try to do too many things at the same time.” We are advised to keep our minds on what we are doing. There was a time in which parents and grandparents lived a very scheduled kind of life. The father was expected to earn money for the upkeep of his family. Mothers had the primary role of taking care of the family. We may remember singing, “Monday is wash day, Tuesday is ironing day” and on it went for every day of the week. Little girls were taught about cooking, cleaning and sewing. Little boys had their chores and learning experiences. Our first teachers were before we started to school. We find many things to do at work, in the community, the home, school or at church. We become like, Martha, the sister of Lazarus, and of whom Jesus said, “Martha, Martha, you are worried and troubled about many things” (Luke 10:41). It seems like men and women have been in the juggling business since the creation. We always have too many things going at the same time. Financially we juggle bills. At work, we try to put in more hours than there are in the day. In some communities, there are more volunteers than people able to work. Mothers and fathers can be busy doing things at the school where their children attend. The pastor is always looking for volunteers to serve in the church. Hospitals get much of their work done by volunteers. I was the speaker for a Tri-State fund raising rally for the Boy Scouts of America. Two of my all-time favorite Boy Scout executives were Don Berg and Bud Trigleth in Decatur, Ill. Contractors and thousands of volunteers are busy at work to prepare the gigantic new national Boy Scout Camp, not far from where I live in West Virginia. We are all in the juggling business to get everything done for ourselves, our family, our school, our church, our neighborhood. My pastor is Dr. Melissa Pratt, one of the most talented young pastors in the nation. She scheduled David Cain, world champion juggler, for special events for our mothers and children the weekend of Mother’s Day. I and a few other men sat on the back row for one of the most amazing programs I have ever seen. Cain would thrill those at any youth convention, family camp, high school and college audience, award ceremonies. He deals with faith, evangelism, spiritual warfare, Christian living and to demonstrate it he uses balls, rings, boomerangs, a bullwhip and has them all in continuous motion. 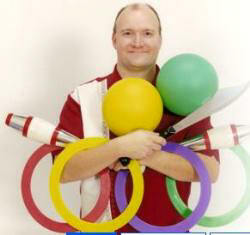 His web is www.christianjuggler.com and his e-mail is davidcainjuggler@hotmail.com. Be a winner in the juggling business. Learn how to juggle successfully. ALBUQUERQUE, N.M. (ANS) – Faith Comes By Hearing audio Bible ministry has again been awarded the prestigious 4-star rating from Charity Navigator – a charity evaluator. According to a news release from Faith Comes by Hearing (FCBH), being recognized for the sixth straight year elevates the ministry into the top 3 percent of all charities. COLCHESTER, ENGLAND (ANS) – A graphic designer is suing a hotel in Colchester, England after claiming he was turned down for a job there because he is a Christian. According to an article in the Daily Mail newspaper, 24-year-old Jamie Haxby was invited for an interview with Prested Hall Hotel after applying for a job to design the venue’s advertising and promotional material. But after discovering that he was a Christian, manager Celie Parker said that he could not be considered for the role because his beliefs would upset atheist employees. Haxby is now taking his case for religious discrimination to the East London Employment Tribunal, and will be supported by the Christian Institute. Spokesman Mike Judge said: “Jamie’s case is shocking, and shows that discrimination against Christians is getting more brazen. The Daily Mail went on to report Haxby said the interview was going well until Parker saw his portfolio which contained samples of work that he had done for his local church and a Christian charity. She subsequently apologized for wasting Haxby’s time, and commented that both she and other employees were atheists who could not work with a committed Christian. “Everything was going well, and I felt happy with how the interview was progressing. Parker made several comments about the high standard of my work and how talented I was,” he said. “However, just over halfway through looking over my portfolio, Celie stopped me and said she did not think we needed to go any further. “My heart slightly sank as I could tell there was something she did not like. She then explained that she thought my work was brilliant, but that she and others on her team were atheists. “She said that judging from my work I was clearly a committed Christian, and I understood from what she was saying that it would be very difficult for me to work there. Haxby explained that his faith should not influence the hotel’s decision as to whether or not to offer him the post. “She just said not to take it personally, but that it wouldn’t be sensible and that it wouldn’t work, or words to that effect,” he added. “She also expressed regret over ever asking me to the interview and apologized for wasting my time. But I was feeling increasingly distressed and upset. “I then said there was no way that this was right in equal opportunities Britain and that everyone should have an equal chance at getting a job. The hotel has denied discriminating against Haxby on the basis of his religious beliefs, and has said that the job was given to another more experienced candidate. “The current climate of intolerance towards Christianity has led to a number of Christian individuals being barred from different areas of public life and employment. The European Court of Human Rights recently ruled against three Christians, Lillian Ladele, Gary McFarlane and Shirley Chaplin, who were all penalized for expressing their beliefs in the workplace, said Andrea Williams, CEO of Christian Concern. thought he wanted to be a priest at one time – I am watching closely the events that are happening in the wake of the resignation of the Pope. I awakened to the headline, “Pope Benedict XVI to resign, citing age and waning energy.” For there it was in black-and-white in the Washington Post, “Citing failing strength of ‘mind and body,’ Pope Benedict XVI stunned his closest aides and more than 1 billion Catholics by resigning on Monday, becoming the first pope to do so in nearly 600 years and ending the tenure of a formidable theologian who preached a gospel of conservative faith to a fast-changing world. First of all, since this is only the second time in 2,000 years that a Pope has called it quits, I realized instantly that this was a once-in-a-lifetime kind of thing. Actually, it’s a once-in-many-lifetimes kind of thing. From a pure journalistic standpoint, this was QUITE a story. Secondly, I began to realize all the things that must be going on in the Vatican to prepare for the election of a new Pope. I’m fortunate, when I was in high school, a nearly ordained priest came to the parish and he taught religion to us. You have to remember that most Catholic kids, and others who go to religion-sponsored schools, have to attend a religion class every day. No Sunday school for us Catholic kids. The young priest assigned to my high school would eventually, in later years, go on to teach at Catholic University of America in Washington, DC. It didn’t take long for us to realize that this youthful priest was a real rebel — a fire-brand. He had spent his seminary time at Collegium Canisianum, located in beautiful Innsbruck, Austria. It’s funny, after all these years, I can still remember his mailing address there, when he went back for a while as part of a project: Tschurtschenthalerstrasse 7. I guess had his school been on White Street of Alps Boulevard I would have never remembered its address. Actually, Kress was more than a fire-brand. Some in the parish thought he was a radical. His sermons were full of questions and doubt that troubled many of the older members of the parish. One week, after wondering aloud from the pulpit if there really HAD been a “Great Flood” and if the “Noah Story” were just a great parable, my own grandmother went to the pastor, Kress’s boss, asking that he be sent to some other parish. Part of his reasoning about the existence of a Great Flood was based on similar stories in myriad other cultures. He seemed to be more excited about relaying the liberal Catholic thought in which he was immersed during his time in Innsbruck, than delivering a traditional sermon that would warm the hearts of the congregation. But, that was Father Kress. The reason he enters the story here, is that during those years in Austria, Kress had worked among many members of the Catholic Church there who were helping to prepare for the Second Vatican Council … that great assembling of religious leaders of all stripes, from around the world. It had been called lovable Pope John XXIII. Kress’s seminary years were spent during an intense period of debate within the church. The conflict, of course, centered on whether the liberalization of the Church was indeed necessary. Liberals in the church in Europe were thrilled at the Pope’s announced intentions. They were even happier when John XXIII invited observers to the council from every known religion in the world. Conservatives were worried that the Church would make a decidedly leftward shift. The church had already begun to look more catholic (with a small “c”) and more universal in John XXIII’s time; he had increased the number of bishops and cardinals from Third World countries and worked for the canonization of saints from lesser-known areas of the world. So, we students in the 1960s, during the Vatican Council, were given a running play-by-play of what was going on in the halls of the Vatican by someone who had been in the thick of planning for the multi-year re-examination of the status of Catholicism. Kress had worked with these men, especially with Frings. The cardinal, who was from the archdiocese of Cologne, Germany, had graduated from the Canisianum and maintained close ties with the school. Frings, at the time, was one of the closest of confidants of another priest from the region, a teacher and writer who, at the time, was perceived to be on the liberal bandwagon. That priest was Fr. Joseph Ratzinger, today’s Pope. Frings and Ratzinger and two other liberal thinkers, Hans Küng and Edward Schillebeeckx, were Fr. Kress’s heroes. Shortly before the first session of the council opened, Frings had given a speech in Genoa, about the First Vatican Council. It called in 1868 by Pope Pius IX, ostensibly to deal with a quickly changing world in the height of the Industrial Revolution. Frings looked at the impact of that first council and wondered if Pope John XXIII was simply re-opening an old concept, putting a modern-day “aggiornamento” spin on it. When the Pope was informed about Frings’ speech, he summoned the clergyman to the Vatican. The session was not negative, as Frings had feared. John XXIII actually liked the speech. Frings thanked him. He didn’t tell the Pope that the speech had been written by his friend, Fr. Joseph Ratzinger. After leaving high school, and those five-day-a-week sessions with Fr. Kress, and the daily play-by-play of what was happening in Rome, my thoughts of the Second Vatican Council faded. Occasionally, I would have dinner with Fr. Kress, during the time that both he and I lived in Washington, DC. I remember one evening when he wondered what had happened to all the fire-brand liberals of the European church over the years. He told me that many of them had “converted” to the conservative cause. One of them was the man who would one day become the first German-born Pope in a long time … and who would startle the world by resigning. 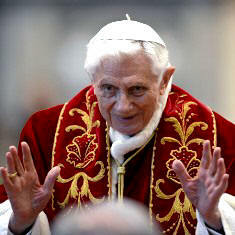 There will be a lot of “Monday Morning Quarterbacking” over why Ratzinger is leaving his post. As a close adviser to the late Pope John-Paul II, the current Pope saw his predecessor grow weaker and weaker and shakier and shakier, while still trying to minister to his flock. I am sure that Pope Benedict didn’t want to be that kind of Pope. It will be interesting for all of us, though, to see what kind of role a former Pope will play in society. The last time anyone had a chance to witness that was 77 years before Columbus first sailed to the New World. Dennis Daily is a lifelong journalist and radio news anchor and programmer. He spent 20-years with UPI (United Press International). During most of his tenure there he worked for the now-defunct UPI Radio Network. 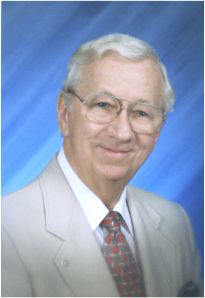 During several of those years he served as the network’s Religion Editor. He previously worked as a national spokesman for the USDA in Washington, wa s a Congressional Press Secretary, all-news anchor and producer for “The Larry King Show.” Long associated with religious programming, Daily returned to his hometown in southern Indiana for 26 consecutive years to anchor and produce five hours from four churches on Christmas Eve. For several of those years the broadcast was relayed around the world via Armed Forces Radio. After his two decades with UPI he went back into local radio in California’s San Joaquin Valley. He now lives in Palm Springs, Calif., where he is semi-retired. 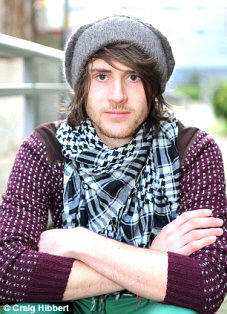 He continues to do freelance radio work, voicing daily reports on various topics. Dennis also produces the Religion & Ethic s Minute based on the stories of the ASSIST News Service. He can be contacted by e-mail at: newscaster@earthlinknet. 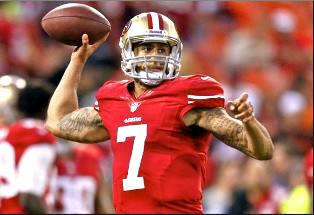 On Feb. 3, the Baltimore Ravens and the San Francisco 49ers will wrangle on the grid iron in Super Bowl XLVII. The faith of a few members of the NFL has been increasingly highlighted in recent years, and it is certainly not lost on some of this year’s players. Colin Kaepernick is the first. In fact, forget the eye-black-with-Scripture so significant when worn by Tim Tebow in his time as a Gator; 25-year-old Colin Kaepernick of the 49ers has plenty of it-in the form of tattoos on his arms. Perhaps literally guilty of “wearing his heart on his sleeve” (pun intended), Kaepernick seems to back up the tatt depictions of his Christianity with a personal devotion to the God he follows. On the young quarterback’s right bicep the word “Faith” is inscribed, and “to God the glory” and a scroll with Psalm 18:39 elsewhere on the same arm. 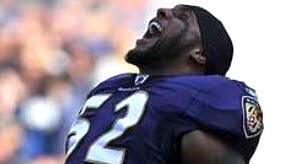 On the other side of the field, there is equal passion for the Lord, probably most prominently displayed by the Ravens’ defensive leader and linebacker, Ray Lewis. “I just know that when you put your trust in God, that anything is possible,” Lewis told a CSN reporter about making it to this year’s Super Bowl contest. Earlier this year, after returning from an injury, Lewis announced that he would be retiring at season’s end. Lewis’ fiery on-field persona is balanced by a strong faith in the Lord, one that has helped lead the Ravens through the season, as Lewis reads and preaches from the Bible in the locker room, prior to games. While Lewis’ faith has risen out of troubling circumstances and a very different scenario than that of, say, Tim Tebow-Ray is just as passionate, and has had a huge impact on his teammates, especially this year. 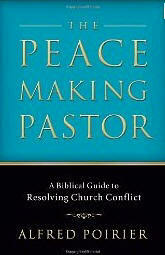 MINNEAPOLIS, MN (ANS) – In the introduction to ‘The Peace Making Pastor’ by Alfred Poirier (Baker Books, 2006), the author states that to be a pastor is to be a peacemaker (p.13). This is my favorite chapter in the book because here the author lays out the biblical basis and foundation for our role as 24/7/365 Christians to be peacemakers and reconcilers in a broken and hurting world. Poirier states three reasons why this ‘sonship reconciliation theology’ is true. First, he says that the significance of sonship is proved by its dominant presence in several key ‘programmatic’ passages of Scripture (Rom.8:15-32; Gal.3:15-4:7; Eph.1:3-6; Heb.2:1-18;12:1-14;1 John 3:1-3). [By programmatic he means those texts that give the sweep and order of God’s redemptive purposes]. Second, Poirier says sonship is the distinctive mark of the new covenant. He says that in Galatians 3:26-4:7, Paul likens the radical shift in the status of God’s people in redemptive history to the transition from being slaves to being sons. The third line of evidence showing the significance of sonship in God’s redemptive purposes is that sonship is a key characteristic of our sanctification, most overtly seen in Hebrews 12. Elsewhere in Scripture, Paul says that we are ‘heirs and joint heirs (co-heirs) with Christ’ and that one day we shall be like Him. But there is a very real sense in that we are called to be like Him NOW. Jesus said ‘the Kingdom is within you, and NOW is’ – the Kingdom of God has come near, is with us, and within us NOW by the power of the indwelling Holy Spirit. Therefore, if we are heirs, and joint heirs with Christ NOW, we are to be like Him NOW, and to exercise the role of peacemakers and reconcilers NOW. For me, this means to live a Spirit-filled, Spirit-directed life, seeking to bring the message of ‘the peace with God’ and ‘the peace of God’ to all men, everywhere. A Jesuit priest called to the home of internationally acclaimed film director Alfred Hitchcock at the end of his life maintains he never lost his faith, contrary to the opinion of some historians. “A biographer said that the director, at the end of his life, shunned religion. Not true. I was there,” says Fr. Mark Henninger, a Jesuit priest and professor of philosophy at Georgetown University, writing in the Wall Street Journal (WSJ). 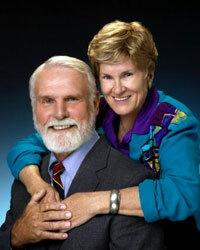 In 1980, Henninger was a graduate student in philosophy at UCLA as well as a priest. A fellow priest, Tom Sullivan, knew Hitchcock and invited Henninger to accompany him one Saturday afternoon to “hear Hitchcock’s confession” and “celebrate a Mass,” according to the WSJ article. Hitchcock’s wife, Alma, joined the three in Hitchcock’s study, where they celebrated Mass. “Hitchcock had been away from the church for some time, and he answered the responses in Latin the old way,” Henninger notes in the WSJ. “He died soon after these visits and his funeral Mass was at Good Shepherd Catholic Church in Beverly Hills,” Henninger recounts. 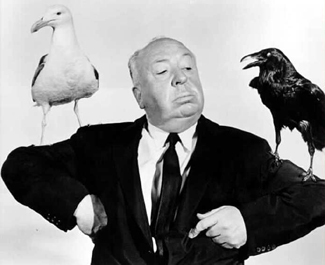 “Why exactly Hitchcock asked Tom Sullivan to visit him is not clear to us and perhaps was not completely clear to him. But something whispered in his heart, and the visits answered a profound human desire, a real human need,” Henninger notes in the WSJ.